On the Late Show last night in the Ed Sullivan Theater, Stephen Colbert opened a panel behind his desk for a bottle of rum and two glasses and soon after he and Jennifer Lawrence are kicking off their shoes. They were great. They were both in rare form... not that they needed the rum. 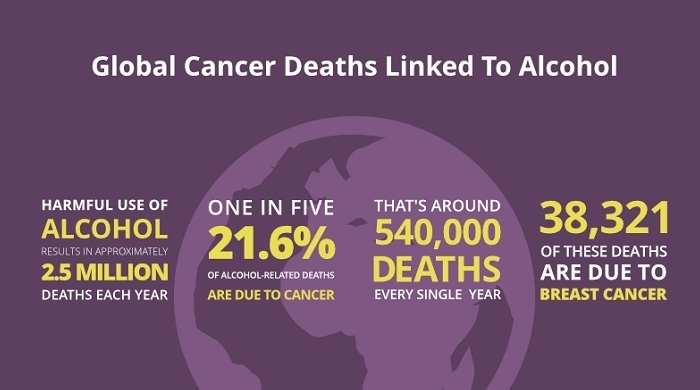 Many so-so news outlets picked up the story the past few weeks claiming alcohol can help people live longer. Thirty percent of Americans don't drink at all. Another thirty percent consume on average less than one drink per week. Ten percent of Americans drink so much they keep the industry afloat, averaging 74 drinks a week or a little more than ten drinks a day. Everyone knows today that pregnant women shouldn't drink. Just think what tomorrow will know. We are heading to a better tomorrow. Perseverance will take us there. It will be a tomorrow transformed by climate change mitigation efforts, the #MeToo movement, and the efforts to end gun violence at schools. Every step matters. Every voice matters. Do not accept the way things have been. Work towards the way things should be. Tomorrow will be better by the hard work of today. After talking about investing, narrowing to impact investing (February 17th post), the news is that even people with mutual funds or a pension fund can make a difference through the big holding companies. The largest asset holder, BlackRock ($5.7 trillion), will talk with gun manufacturers "to understand their response" to the shootings. Last year, Vanguard said that it questions companies about climate change mitigation as part of risk management. When voices become a community, the community must respond. Washington Post: #BoycottNRA -- Three major companies — Enterprise Holdings, First National Bank of Omaha, and the cybersecurity giant Symantec — have ended co-branding partnerships with the National Rifle Association as a #BoycottNRA social media movement picks up steam. I see the recent turmoil in the stock market, like anything else, through spiritual-philosophical-humorous eyes. They are also blue. Since about 2013, the stock market has been too positive, too predictable, and too boring. The recent turmoil is as it should be. There is balance in the balance sheets. Linen companies need to make balance sheets so financially-oriented people can sleep well at night. Even down comforters have upsides. Pull up a philosophical chair. Money has value because we say it does. Stocks have value because we say they do. When people believe more or less in the value of money or stocks and act on those beliefs, the values change. The value of stocks are no more tied to the value of a company or venture than money is tied to the value of an item or a commodity. Tides flow predictably, money and stocks flow with faith. Nothing is as certain as numbers lead people to believe. Nothing loses value like a new car driven off the car dealer's lot. The value of XYZ stock is only fixed in the past. The fine print will tell you that any individual stock can over and under perform, and past returns do not predict future results. All investing is subject to risk. I'm telling you this to empower you to understand that your values have as much merit as anyone else's, you know, within certain societal parameters. Good news about the XYZ Company sent the stock down due to missing expectations. Despite good news about XYZ exceeding analysts' expectations, shares of XYZ closed lower. Shares of XYZ continued to tumble, despite merger talks, increased profits, and FDA approval. In front of me is a perfectly good, crystal ball. It's kind of a nag. Ask it what you should invest in. Go ahead. It has already interrupted you to tell you that you're too late. It's not that incredible investments aren't in the future. They are. It's about timing to ride it out -- when to begin and when to end. The crystal ball is still complaining, saying that people don't seem to know what is important to them... they don't realize what they have... squandered resources... holding onto property past the prime because that rust bucket of a boat may have value in the future... We'll just put the crystal ball back into its box. I don't know why I still keep it. Maybe it'll be valuable in the future. In fairness to the crystal ball, the first step to investing is talking about your values... what you want... what are your principles... what will make the world a better place. An investment adviser would bring up risk and age too. People are living long enough for their pasts to catch up with them. You don't actually mean that all you want is money?!? Be careful what you wish for. Someone who only wants money does not understand the limits to the value of money, as explained earlier. What do you want to do with all that money? Love, happiness, humor, friendships, and self-respect cannot be bought with money. If none of those things matter to you and freedom does not matter to you, you probably want the money right now. Consider a life of financial crime. * Nothing else will provide money as fast. It involves lying, cheating, stealing, money laundering, and jail. The morally bankrupt don't sleep well at night. Greed never rests. People who value only money should not read any further. I don't know how you found a website titled Hopes and Dreams in the first place. Before you even think of investing money, try to figure out if you should be investing money. What do you own? Do you really need those things? Do they reflect your values? Do they burden you? Shop around for the best prices on credit union accounts (usually better than banks), insurance, phone service (phone bill cut, no contracts, swappa), prescriptions (GoodRx, Blink Health, WeRx, & Health Warehouse), and groceries. If you play the lottery, stop. (Americans spent $80.5 billion on lottery tickets in 2016.) Live below your means. Consumer credit is modern slavery. Understand the value of compounding, how compounding interest works against you with credit cards and for you with savings accounts and mutual funds through dividend reinvestments. After dwindling your assets and your expenses to maximize value, identify your values -- who and what are important to you. Set a goal, and make a plan. A goal without a plan is a wish. Get your loved ones to help. If you have money in a credit union account, and you can afford to lose that money, and you aren't prone to panic when the investment takes a dive, and investing fits with the rest of your values, then consider investing. Invest in yourself and your loved ones first. That could mean eating healthy, showing your love, paying for schooling, buying a home, or learning a trade. Invest in your friends, family, and community. Give. If you have a retirement plan at work, and you trust them to not go belly up and run away with your money, then contribute. Employee retirement savings can be a good way of investing. Money doesn't matter. It does, and it doesn't. People with money don't worry any less about it than people without it. The strange thing is that some people without much money (wink) can do a great deal with what they have, through decision making and a history of decision making. It goes back to the shopping around and living below your means. It's about prioritizing your values and getting bang for your buck (not pinching pennies, pinching dollars). When you are ready to invest, shop around. Just as you should shop around for insurance, phone plans, cars, and plumbers, you should shop around for best brokers. Who has the lowest fees and the services you need? The interest given and fees taken on savings at credit unions is generally better than the interest given and fees taken at banks. These days it's usually less than one or two percent. The average annual return on the US stock market from January 1871 to December 2017 was 6.06%. Including dividends, the average return was 10.78%. I know. That average simply takes the broad market results for each year, divided by the number of years, which is practically meaningless. First it ignores the past results. If your money doubled one year (100% gain) and was cut in half the next (50% loss), you wouldn't say you had an average return of 25% = (100% - 50%)/2, because your principal is back where it started. Your real annualized gain is zero. Plus, people do not invest in the entire stock market. There are some stocks you do not want to invest in today or tomorrow. Either you pick the stocks or you let someone pick them through a mutual fund. Either way, some decision making has been made.The marketplace has a great deal of financial information. Usually by the time you hear it, it is old news, and the market has already reacted to it. Listen but do not trust stock advice. Many studies have found random stock picks have out-performed expert financial advice and actively managed mutual funds. Plus, investors should diversify to lessen the risk of one stock or sector, investing instrument, or market. Consider bonds, international investments, and money market accounts to some extent to lessen risk. A generalization is that younger investors should accept more risk than older investors. Maybe. Plus again, past performance is no guarantee of future results. When I bring up annual rates of return, I'm making the assumption that the people who only value money left after reading section zero above. Active traders obsess over the market and continually sift through the market for the next sure thing. If they “know” a stock will drop, they'll do a short sale, which is selling something not owned to later buy it. They invest their money and themselves in the market. They also are inclined to panic. I knew a business owner whose business barely needed his attention, and he would talk to me about mutual funds. I would listen. One day I made a mistake. I explained to him that mutual fund managers do not have superpowers to discern good stocks from bad stocks. I mentioned what I said above (plus 2) that random stock picks, sometimes with a dart board, can out-perform the expert advice. I encouraged him to do his own research and make his own picks. I unleashed a monster. If he was obsessed before, he became laser focused on the market. Over several years, his health deteriorated. He moved away. And during the lowest valley of the 2009 recession, he died. Long term investors make their money work for them by investing and then (sort of) ignoring the market. During the 2009 recession, Warren Buffett was asked in an interview what he was selling, after he had just listed off what he was buying. He said, “Nothing. I never sell.” Since then I have heard of Berkshire Hathaway selling assets, so I take what he said as a generalization of long term investing. Buy low and sell high, or buy low and never sell. Focusing on the stock market, worrying about what is going on, isn't healthy. One of the problems of investing and then ignoring the market is that change happens. To manage and diversify stocks, mutual funds can be an easier way to invest. The problem with mutual funds is the fees paid throughout your ownership of the fund. You can make money and still lose money. There are low-fee mutual funds, some are offered byVanguard. Here's where this gets complicated -- using money to engineer change. Does it make a difference? When you buy XYZ stock, you are buying a share in the public ownership of the XYZ Company. Unless the purchase is an IPO (initial public offering), you are not buying from the company. You are buying from someone else who is selling. So the XYZ Company never sees your money. In a way, it doesn't matter what XYZ does or who they are. You don't make a difference to them, and they don't make a difference to you, except for the perceived value of shares of their stock, which may or may not have anything to do with the actual company. Publicly traded companies have annual meetings. Stockholders receive invitations to the meeting and proxy voting information. Stockholders may also request questions put to a vote. Votes are based on number of shares. In this way, stockholders have a (limited) say. Certainly, majority stockholders have a say in the running of a company. Some investors use their stock purchases to effect change in a company, sometimes for purely monetary gain and sometimes for social change. Some mutual funds pick stocks based on social change. One could argue that just as an investor buying shares of XYZ really doesn't effect XYZ, buying shares of a socially conscious mutual fund does not effect change at those companies or the market overall. Yet, the trend to socially responsible investing, impact investing, has skyrocketed to at least $114 billion in 2017, which might be enough for companies and the market to notice. Anyone can put together a portfolio of stocks to purchase and potentially effect change. Again, it takes management and attention as companies and markets change. Some companies will, for a price, pick stocks based on your values, and some mutual funds are already established to reflect certain values. Swell offers six portfolios focused on social and environmental challenges: green technology, renewable energy, zero waste, clean water, healthy living, and disease eradication. Using data from MSCI, the portfolios combined returned almost 19% from their inception in September 2016 through August 2017. 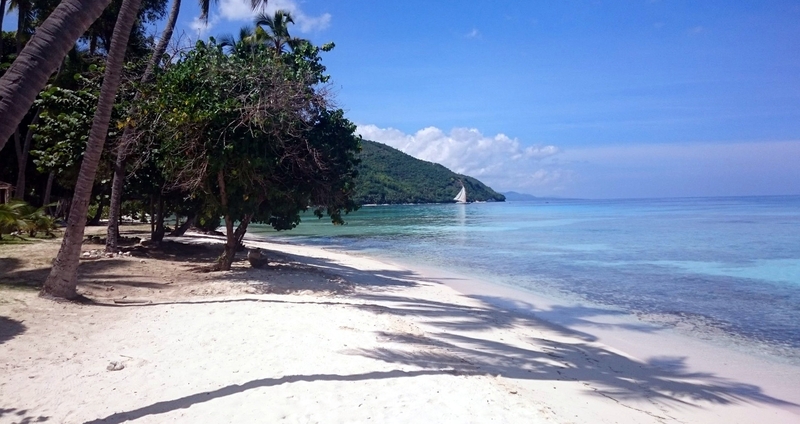 The Swell minimum investment is $50, and the Swell annual fee is 0.75%. Motif offers stock portfolios in sustainability, fair labor, or corporate governance, using data from MSCI. Motif requires a minimum investment of $1,000 and charges a flat, monthly subscription of $9.95. The companies that Motif says “practice sustainability to reduce their carbon footprint” include Boeing and Apple. Right. Sustainable planes and cell phones. OpenInvest is an online adviser that builds personalized investment portfolios designed to fight climate change, drive gender equality, battle deforestation, support LGBTQ rights, dump weapons, or help refugees. Minimum investment is $3,000. No signup is required to see an example portfolio based on your social values, so if your social value is climate change, you will see companies like Coca-Cola, Comcast, Ford, General Electric, General Motors, Halliburton, Hewlett Packard, and Verizon. Are these the climate changers or the fighters of climate change?!? Wunder Capital, through a minimum investment of $1,000 by certain investors, provides loans to US businesses switching to solar energy. It is not clear if the Wunder Capital 5 fund and other funds are mutual funds or investment notes like those offered by the Calvert Foundation. Calvert Foundation community investment notes allow users to invest as little as $20 online or $1,000 definitive notes or $1,000 book-entry notes to finance small loans (microfinance), renewable energy, health, women investing in women, affordable housing, or sustainable farming. More information about impact investing can be found through the GIIN 2017 report (pdf). And here's some information about investing in solar power (February 2018 & December 2017). All of this boils down to what you want. The key is not to ignore the betterment of the outer world when looking inward at your values. * Please don't consider a life of financial crime. Or insurance. Or the presidency. The Winter Olympics is 40 ways to slide down a hill and figure skating. Team figure skating was on last night, according to the schedule. Team figure skating... isn't that hockey?!? Should anything in the Winter Olympics be called Heat 1? President Trump's requested a big parade... big enough to fill the absense of affection from his father... big enough to put a real smile (not the sarcastic triple-chinned smile, but a real smile) on his face... has been cancelled. The parade, which might momentarily fight the depression of a very angry President and increase the depression of millions of Americans, has been cancelled due to a wide-spread epidemic of bone spurs. Pain from the bone spur epidemic would prevent military personnel from participating in a parade. That's what President Trump said to Pentagon officials in a meeting on January 18th of this year. And the Pentagon is going along with the unwritten orders for a big military parade. The Pentagon will begin shooting at a moving target. As commander in chief, Trump will want to drive a tank. Then he will want to fire the gun. Then he will want to fire the gun over a specific target. Then the mad president will want to fire the gun at a specific target. When will someone tell him, no?!? Welcome to Minnesota, visitors and viewers, we hope you have a nice time. Wouldn't it be great if both teams could win, for the sake of the Eagles and the Patriots teams and fans? For the sake of the rest of the country, wouldn't it be great if both teams could lose? That would be nice. Super Bowl update: The spectacle was full of concussive hits, bodies slamming into the US Bank field, and coaches unwilling to provide injury reports. The sponsors, the NFL, and pharmacists should be proud of engineering a close game and motivating the athleticism of its players, putting life and limb on the yard lines. Yes, both teams lost. The human head is not designed with the skull shock-absorbers of a woodpecker. The human head can't take the whiplashing hits. Our country should have its head examined. 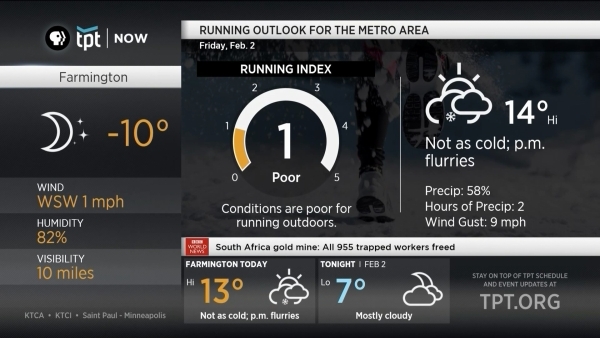 Turn on your TV and find the local PBS weather channel, TPT Now, for local weather humor. 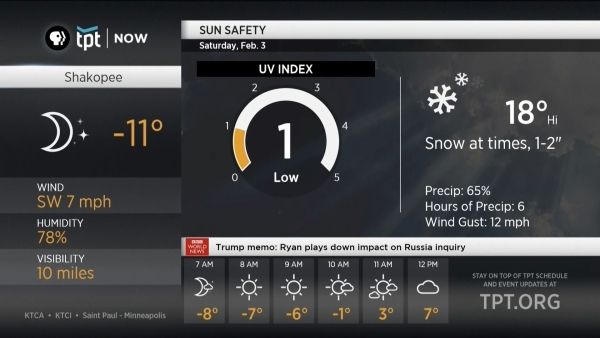 At 7 am, it's between minus 12 and minus 5 degrees around the Twin Cities (-12º - -5º). Any guesses what that's like for running? Bicycling? Dog walking? Pollen? UV? Last year, TPT Now (KTCA 2.5) decided to provide charts -- year around -- to answer those questions and more. Now we know not to run on the ice or bother with sunscreen. Thanks TPT Now! -- sounds like a football term, but in Minnesota, it means slipping on the ice. Taking a knee is perfectly normal in Minnesota. We respect and sympathize with people who take a knee. The Twin Cities Calendar lists many of the current Super Bowl LII events. It's not just about the football game on Sunday, February 4th at the US Bank Stadium in Minneapolis. Going on right now is the Super Bowl Experience, which by its name might sound like it's watching the same teams as usual playing the top football game. That's a LII. Going on right now is Super Bowl Live, which might sound like the football game has already started, but it hasn't. That's a LII. And tonight is the Super Bowl Opening Night, which might sound like it is the Super Bowl, but it's not. That's a LII. The game has started. It just isn't the game people think it is. Everything is great. It's Tuesday... meaning it isn't either Sunday or Monday. On Sunday, the Minnesota Vikings lost the NFC Championship. On Monday, about a foot of snow fell, and then the winds couldn't decide on placement. With assuredness, the wind pulls snow to the edge of rooftops and twists it around, like a teetering DQ swirl. Meanwhile, Mister Positive was getting vehicles unstuck. Except it sounds like, “Murrf mi wuluff,” due to hoods and scarves and such. But enough about the weather, how 'bout that game! The Minnesota Vikings dominated the New Orleans Saints during the first half of last night's game at US Bank Stadium. The Saints recovered during the second half. In the last three minutes of the game, the lead changed three times, causing cardiac arrests across the state. With ten seconds left, Keenum sailed the ball to Diggs, who ran it in to the endzone with zero seconds left. The Vikings beat the Saints and head to the NFC championship in Philadelphia, next Sunday. 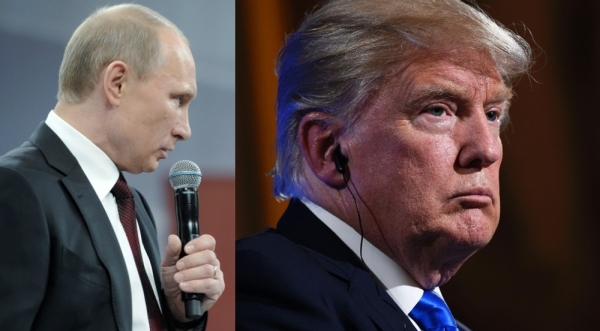 The United States Senate Committee on Foreign Relations released a report today, Putin's Asymetric Assault on Democracy in Russia and Europe: Implications for U.S. National Security. The report identifies Russian efforts to manipulate elections in 19 countries. The report makes 30 recommendations to address the Russian threat to NATO and the United States. [Edit.] During the week of January 22nd, Russia’s SVR spy chief, Sergey Naryshkin, who is under U.S. sanctions, met with Director of National Intelligence Dan Coats and others, outside Washington DC. Meddling is becoming a more commonplace word outside of Scooby-Doo. The real mystery is: did everyone call the front seat? Because there's a whole van back here. Music Association: Austin Roberts - Scooby Doo, Where Are You? 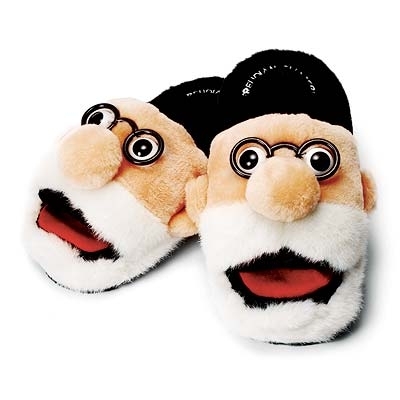 The problem with the Freudian slippers is they have no skid resistant tread. I had no expectations. I need greater expectations. We all need greater expectations. This morning the Wall Street Journal reported on a fire on top of the “68-floor” Trump Tower in Manhattan. Trump Tower has 58 stories. It has a 68th floor but no floors 6 through 13. The 25th through 27th floors were on fire while Trump Tower was being built in 1982. There is still good in the world. There is still happiness in the world. And people still dream and hope for a better, happier world. Please help me to make it good for you and for the Earth.